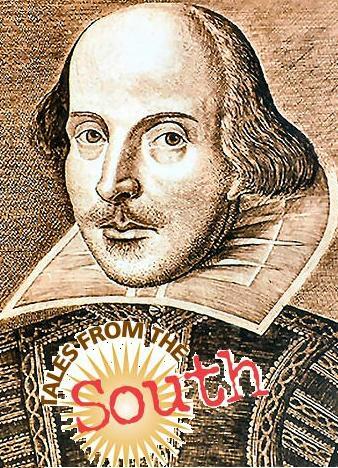 Arkansas Shakespeare Theatre has once again joined the Oxford American magazine to bring a special Shakespearean edition of “Tales from the South” at South on Main, one of Little Rock’s premier dining destinations. Doors open at 5 p.m.; Tales begin at 7:30 p.m.
Forsooth y’all! If you missed either of the first two “Shakespeare in the South” evenings, fear not! Greg Brownderville, Stacey Margaret Jones and Sara Shumaker will be weaving whimsical tales during this year’s evening of Southern storytelling. Music will be provided by Bonnie Montgomery while Phillip Rex Huddleston will be the featured visual artist. Tickets are required to attend the event, and the cost of admission does not cover dining. A portion of the proceeds goes toward Arkansas Shakespeare Theatre’s 2014 summer season. Reserved seats at a table are $15 each. Purchasing a reserved ticket online guarantees you a table. General admission tickets are $10 each. General admission seating doesn’t include a table and is available on a first-come-first-served basis. This entry was posted in Lecture, Literature, Theatre and tagged Arkansas Shakespeare Theatre, Bonnie Montgomery, Greg Brownderville, Oxford American, Phillip Rex Huddleston, Sara Shumaker, South on Main, Stacey Margeret Jones, Tales from the South by Scott. Bookmark the permalink.